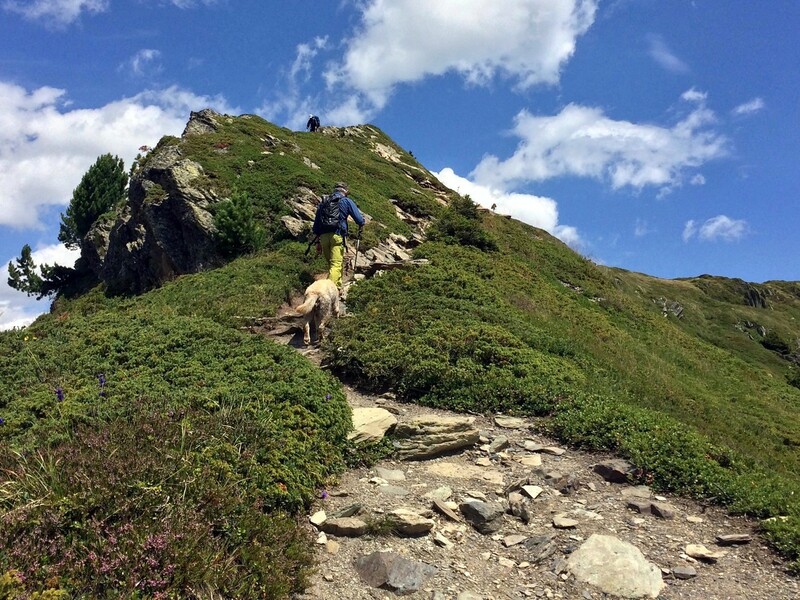 The hike along the Aiguilletteis des Posettes is a wonderful hike in Chamonix. 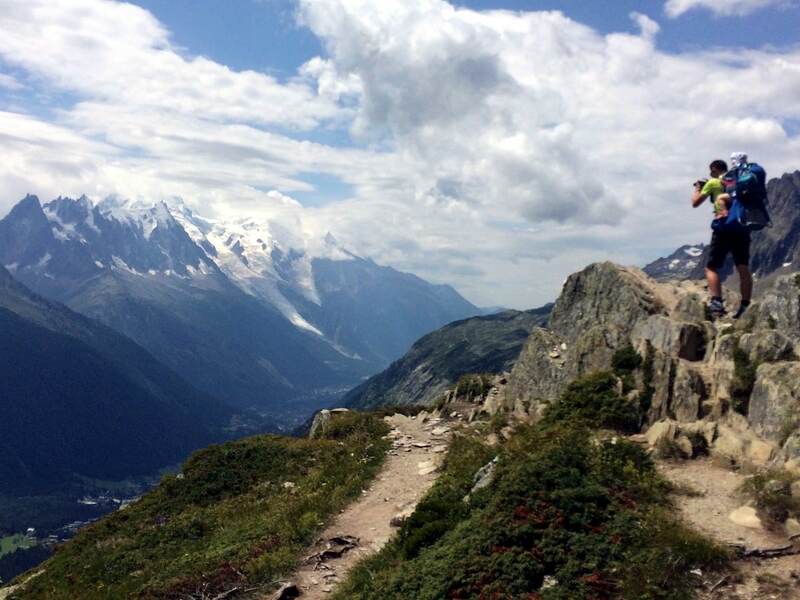 Aiguilletteis des Posettes is a small Chamonix summit with a big view and a lovely, varied terrain for you to hike across: cool larch forests, a beautiful long ridge, and a wide summit point with views straight across to Mont Blanc. 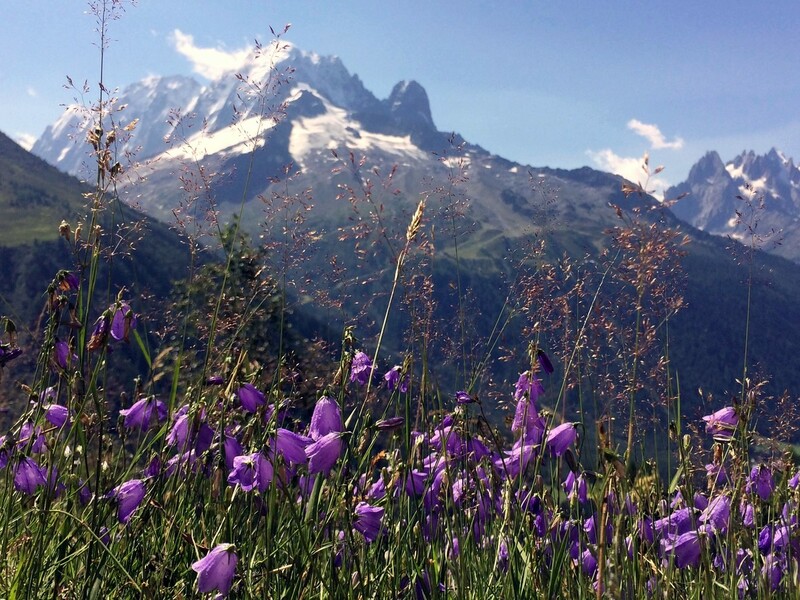 You’ll descend across a wide mountainside with the whole Chamonix valley laid out in front of you. From Chamonix, take the train to Le Buet. At railway station, Col des Montets & Charamillon lifts. 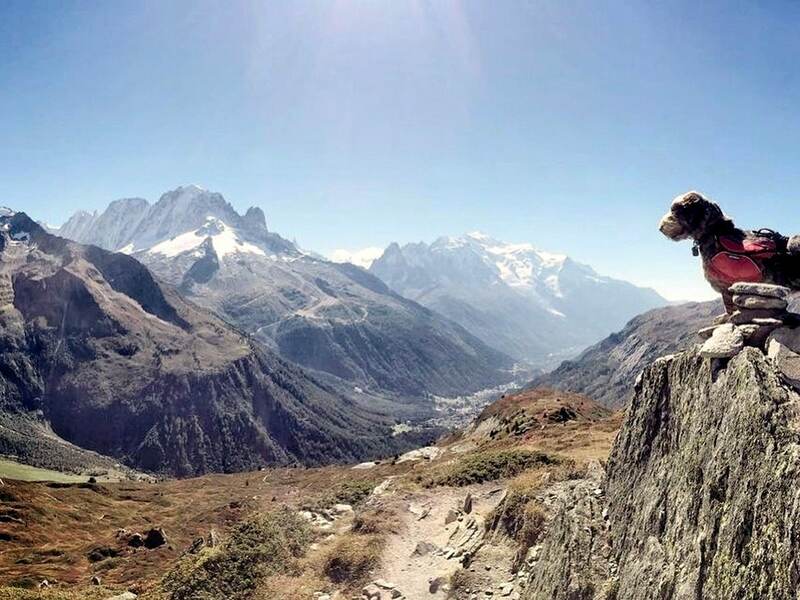 Start this hike from Le Buet train station and walk along the wide track of the old coaching road, “Chemin des Diligences” beside a stream, taking a gentle and pretty half-hour ascent to the Col des Montets. 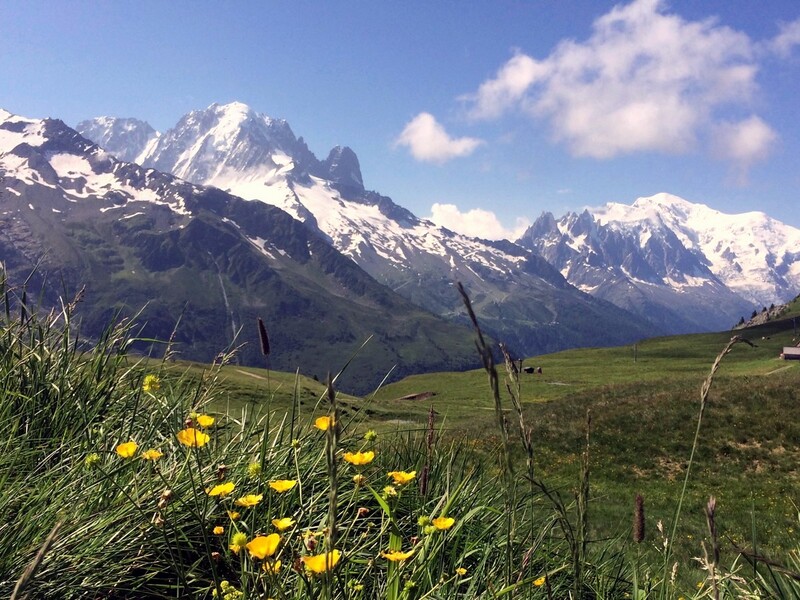 The peaks of the Aiguilles de Chamonix are framed perfectly here at the highest point of the valley floor. From the Col des Montets, continue in the same direction, walking down through the nature trail for ten minutes before reaching the car park at Tre-le-Champ. Head left at the end of the car park, upwards and away from the road, following signs to Aiguilletteis des Posettes. The hike winds quite steeply through the larch forest for about 40 minutes before emerging from the treeline to give a fine panorama over the valley. 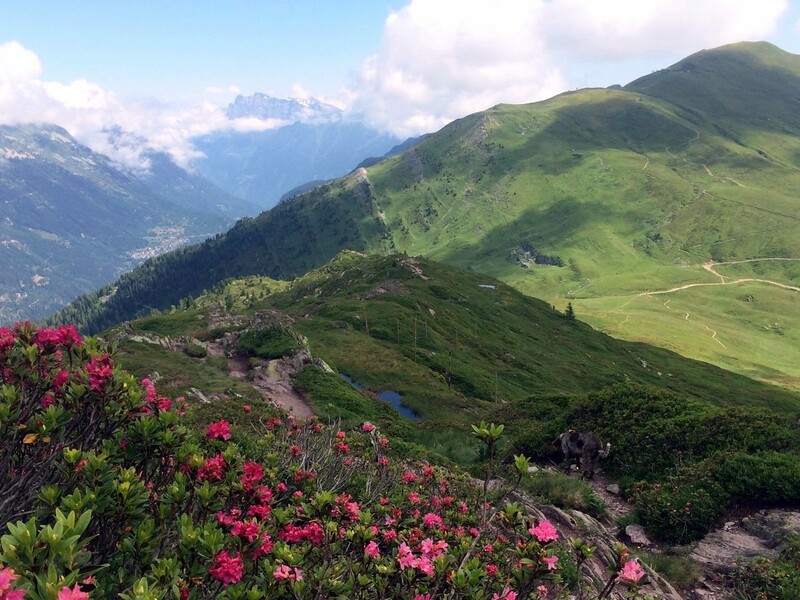 Just above the treeline there’s a junction – take the left-hand path, signed to Aiguilletteis des Posettes. From here, the path winds over a fragrant mix of juniper, blueberry and rhododendrons, around rocks and past small ponds. The trail has a wonderful open, airy feel and the views just get better and better as you rise higher above the valley on an easy gradient. 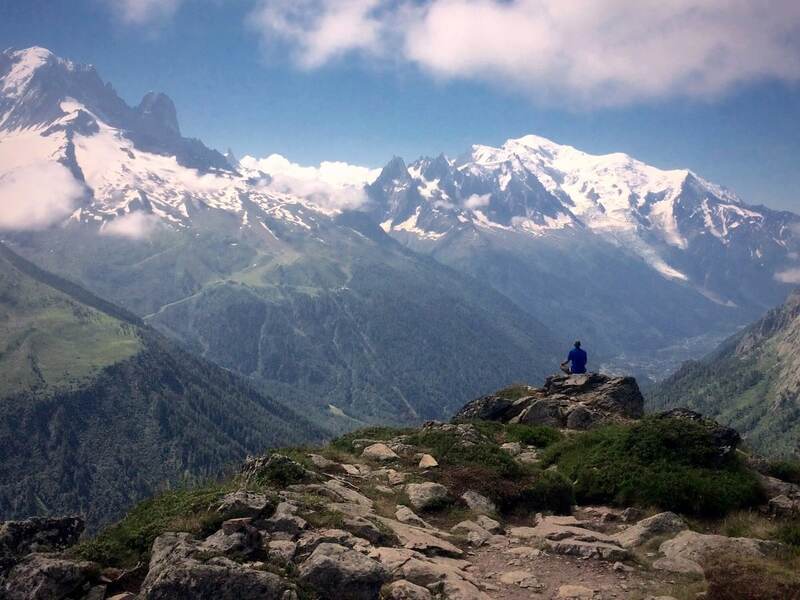 The summit of Aiguilletteis des Posettes itself is a great place for a picnic with plenty of room and 360 degrees of magnificence in every direction. The Emosson Dam makes a clear landmark to look for in Switzerland, and it’s a great view of Mont Buet, plus you can see the glaciers of Le Tour and Trient clearly on the left side of the valley. Leave the summit in the same direction, hiking away from Mont Blanc. The path follows a glorious ridge-line that swoops down towards the Col des Possettes, and then turns back, following signs towards the Charamillon lift station. Walk down facing Mont Blanc which is now directly opposite you as you descend via a wide and easy path to the lift. You can hike down to Le Tour or you can take Charamillon lift down to Le Tour. Once in Le Tour you can catch a bus here to return to Chamonix. Many variations of this hike are possible. For less vertical ascent with the same views, go from Vallorcine and take the cable car up, then walk along the ridge to the Aiguilletteis des Possettes and descend to Charamillon. The hike to Aiguilletteis de Posettes is possible to do without the lifts, so an ideal one for low season. 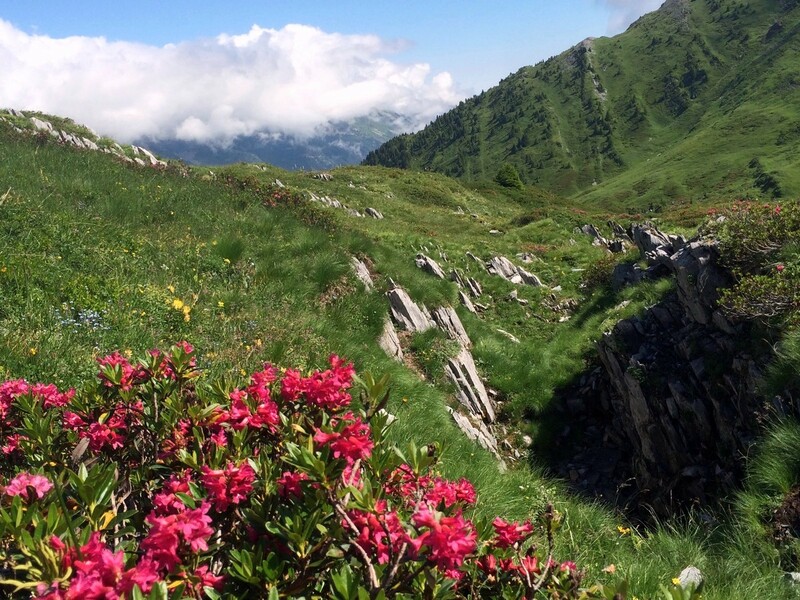 You can either hike back to Le Buet train station or hike down to Le Tour. This hike is very beautiful in Autumn. Avoid this hike if there may be poor visibility. It’s very exposed to the weather and the wide openness of Le Tour can be disorientating in thick cloud. Five minutes walk above the main Charamillon mid-station, you will see the stone buildings of Les Ecuries de Charamillon. These converted stables are now a restaurant and rooms - very friendly, lovely food, and a great place for lunch. Near the base of Le Tour is Bar Restaurant Le Passon, another small and friendly restaurant. 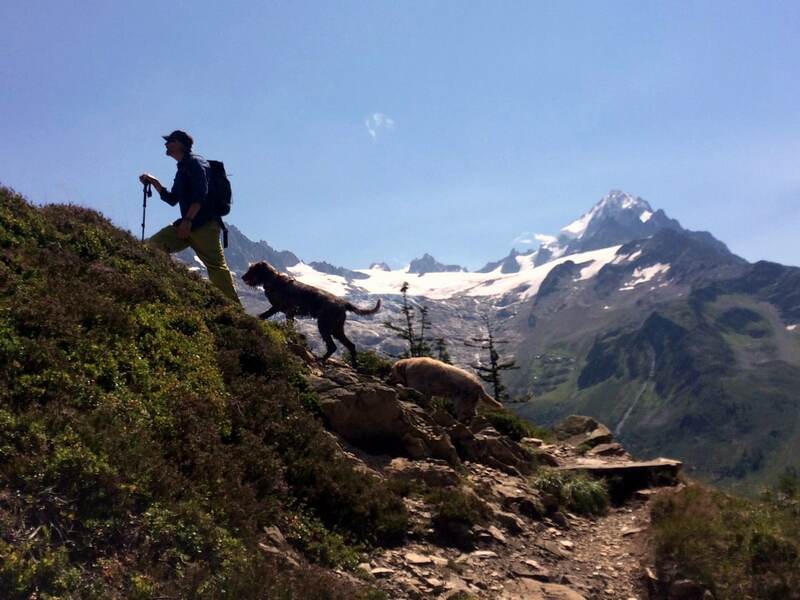 The ten minutes of the nature trail at Col des Montets are forbidden to dogs, so in order to do this with a dog you need to walk around this part or drive to the start from Tre-Le-Champ.